There are people who adore certain car makes to the point of being obsessed. 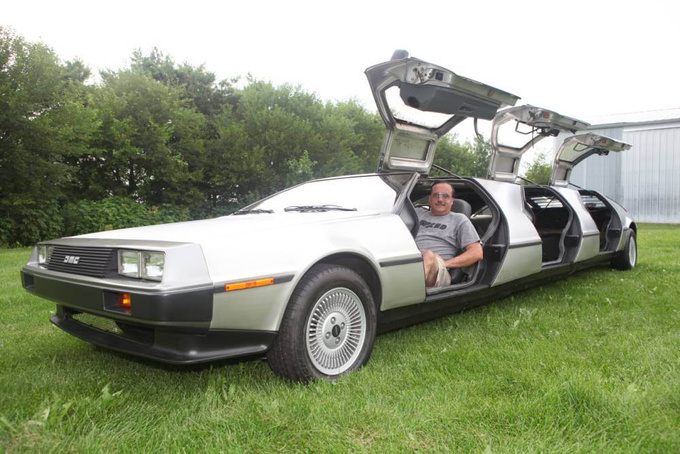 The object of this kind of infatuation is usually some really rare and special model, like the DeLorean DMC 12, which has become one of the world’s most iconic cars after appearing in the the Back to the future trilogy and which is a particularly rare sight. Rich Weissensel, a software engineer from Chicago was in his late teens when the model was launched in 1981 and was instantly smitten with the design. 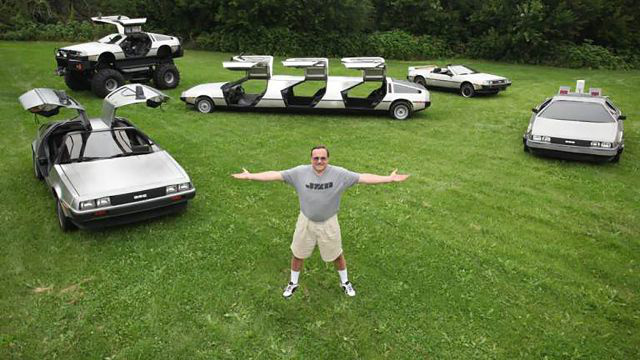 He bought his first DeLorean in 1985 and still hasn’t got bored with it. Today he buys abused and wrecked DeLoreans which he restores giving them an almost whole new identity. Of course, Weissensel restored one to its original state, but his collection mostly consists of some really mean conversions. 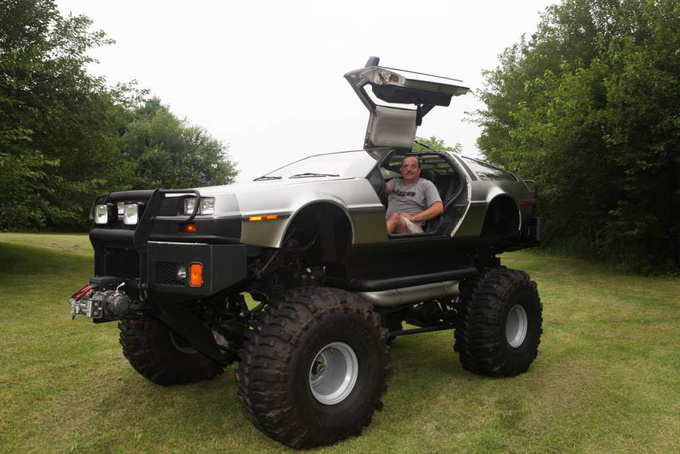 One of the meanest has to be the monster truck dubbed ‘D Rex’, based on a 1981 DeLorean's body but mounted onto the running gear of a 1979 Chevrolet K5 Blazer SUV and fitted with 44-inch wheels and a V8. 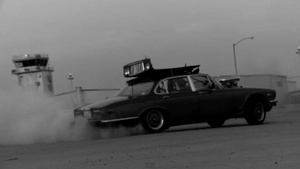 The stretched limo with its six gullwing doors looks pretty insane, too. But the meanest of them all has to be a replica of Marty and Doc’s time machine from Back to the Future. It took Weissensel 14 years to amass his unique collection. And should you feel a little pain in your chest right now thinking about the original cars sacrificed for the project, don’t forget that the man saves wrecked machines headed for the crusher.